Project shortlisted in the Royal Society of Arts Student Design Awards, 2016. 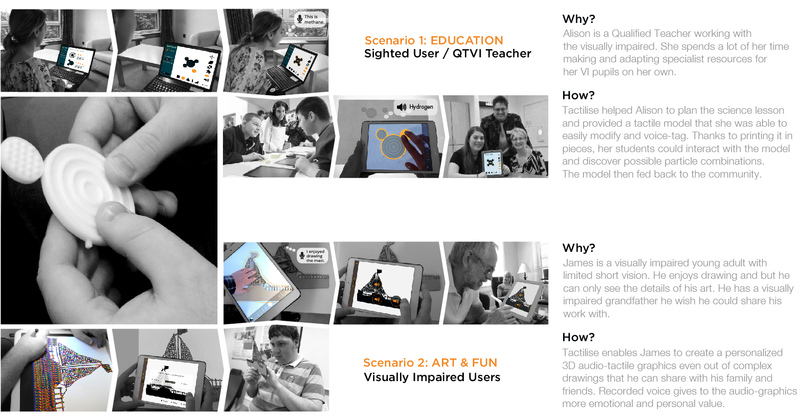 Project in cooperation with Sense Scotland, Visibility and the Royal National Institute of Blind People. 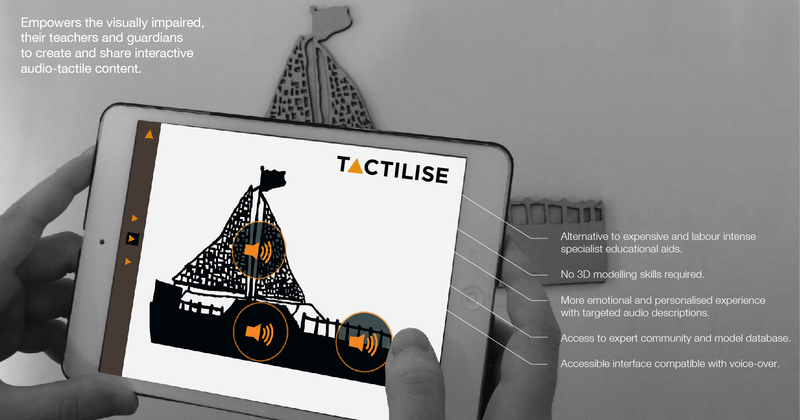 Tactilise is a concept of an inclusive platform which empowers the visually impaired, their teachers and guardians to create and share interactive audio-tactile content using rapid prototyping technology and augmented reality. Tactile graphics and specialist educational aids can be very expensive or labour intense to prepare. Moreover, currently there is no adequate centralised system to share aids and inspirations for the visually impaired, their teachers, support workers and parents who constantly reinvent ways to explore the world without the sense of sight. Based on an idea that simple vector shapes and silhouettes can be easily raised into tactile graphics, Tactilise does not require any 3D modelling skills to achieve three-dimensional results which can be further modified by other users. 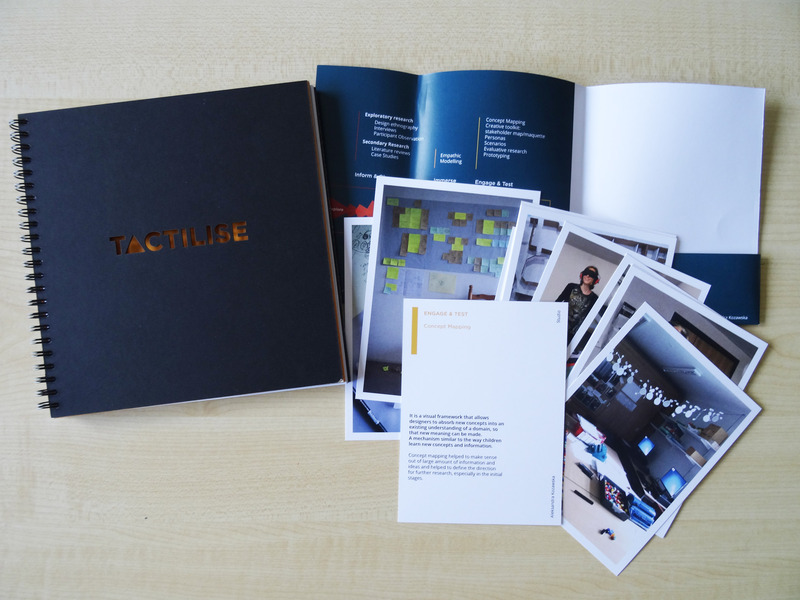 In this way, Tactilise supports open-knowledge exchange in the dispersed community of professionals, parents and the visually impaired by providing them with a tool to create and share digital content in a tactile way. 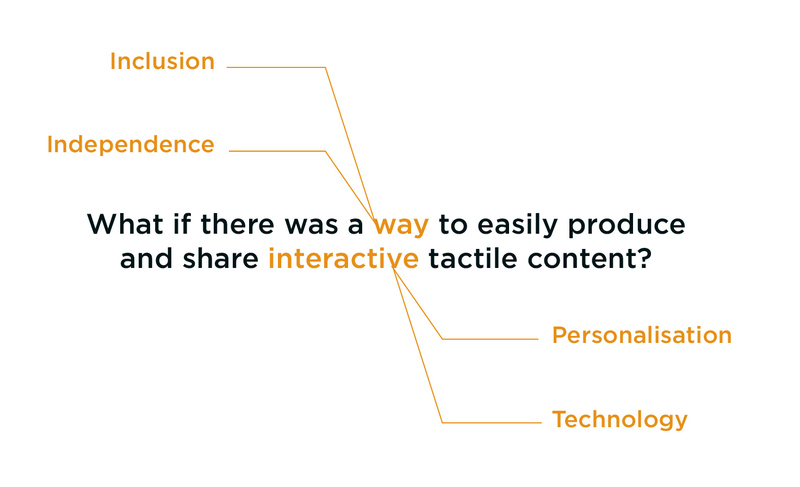 Targeted audio descriptions can be assigned to the specific parts of the physical or digital model which are activated only when touched, creating an alternative to general text-based voice-over solutions. The laser-cut ship model is an example of 2D to 3D conversion from a drawing. The 3D printed model of a chemical particle is an example of Simple Shapes application. Design methods used in this project can be divided into three main categories falling into time frame of the process flow to make sense out of collected data. 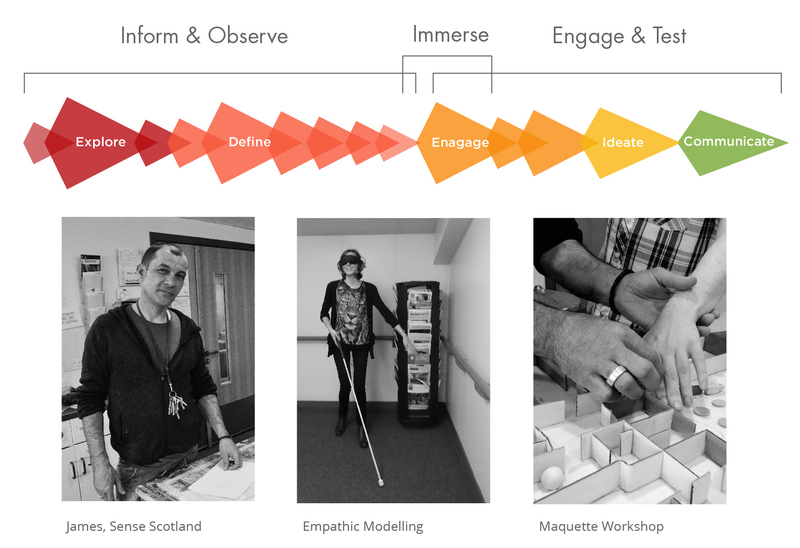 A range of exploratory research methods were used including ethnographic research, interviews, workshops and empathic modelling. Detailed description of each method can be found in the Method Cards and Project Book. Support orientation in space using Simple Shapes Application. see more in Project Book.